Why It’s Important — Once called Asia Minor, Turkey was the center of the ancient world and relevant to such super stars as Alexander the Great, Homer’s Iliad and Odyssey, the City of Troy, Pythagoras, and the Apostle Paul. More recently, Istanbul (then, “Constantinople”) was the center of the Ottoman Empire, which held territory from Hungary to Egypt to the Persian Gulf beginning in the 15th century until the Allies dismantled the empire in 1918. Today, Turkey is pushing for more influence with Europe and the Middle East. Added Attractions — Turkey’s appeal as a tourist destination has been in decline as a result of the oppression practiced by its current leadership. 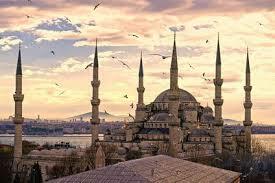 Still, Istanbul is a delight. The city is located on two continents, with the sensibilities of both. It is surrounded by three major bodies of water and, in the center of the city, the call to prayer from several mosques seems almost harmonized. Visit the Grand Bazaar, take a boat ride on the Bosphorus, get clean at a traditional hamam, visit the excellent art museums and see the whirling dervishes perform at the Sufi Silivrikavi Monastery. Why It’s Important — Jerusalem is the undisputed king of world religion, among the holiest places of pilgrimage for followers of Judaism, Islam and Christianity. This is where Jesus was crucified, Muhammad was buried, and Abraham almost sacrificed his son — among other things! It is also the site of an ongoing battle for political control and natural resources. Actually, I would call it genocide but that’s a subject for a different article…. 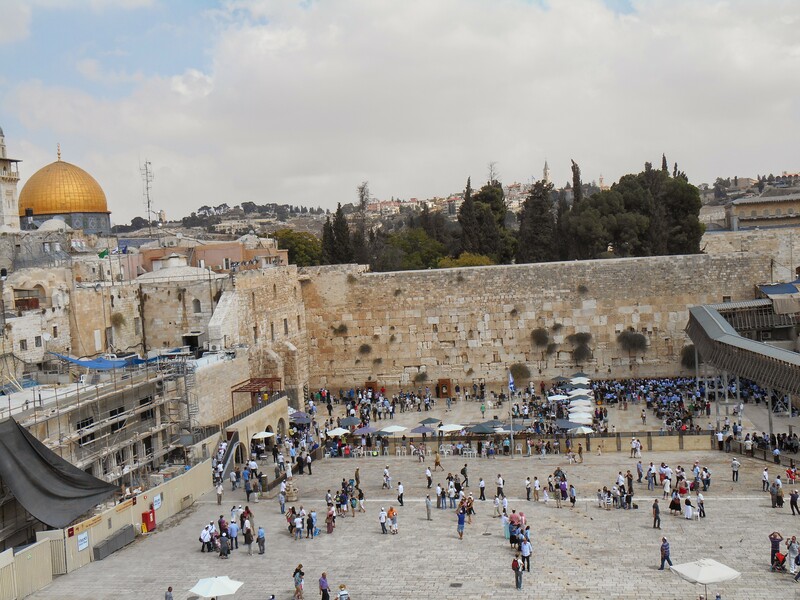 What to See to Learn More about World History — The Dome of the Rock, the Western Wall, the Church of the Holy Sepulchre, Temple Mount, the Israel Museum, the World Holocaust Remembrance Center (Yad Vashem), numerous other sites in the Old City. Added Attractions — Jerusalem is increasingly a place of tensions and violence between Jews and Palestinians. Still, there is so much to see even if you can tear yourself away from the city’s religious sites. There are food tours and wine tours. If you need to move around, the surrounding hills are great for hiking, biking and horseback riding. Why It’s Important — India’s history includes more than 4,000 years of empire, dynasty and kingdoms, and is at least one of the spiritual homes of Hindus, Sikhs, Christians, Buddhists and Muslims. More modernly, it was colonized by the French and then the British, the latter giving birth to the iconic moral and revolutionary philosophy of Mahatma Gandhi and a democratic form of governance. What to See — Varanasi, India’s oldest and holiest city, National Gandhi Museum and the Red Fort in Delhi, the Taj Mahal in Agra, the National Museum in Delhi, Hawa Mahal in Jaipur, the Bodi Tree where Buddha became enlightened in Bodh Gaya, the Hindu pilgrimage city of Rishikesh. Added Attractions — Endless and varied — enjoy a fire ceremony on the ghats, a camel ride in Rajasthan, paragliding in Goa, a river boat tour in Kerala, one of many animal rescue preserves and national wildlife parks. Take a cooking class in Cochin or a textile art class in Jaipur. The country is full of incredible textiles, paintings and other art forms. Please don’t ride on the back of an elephant — it’s not good for them! Why It’s Important — The center of the vast Incan empire from 1438 to 1533, Cusco is a living tribute to South America’s pre-Colombian world, and its subsequent colonization by Spain. What to See to Learn More about World History — Most obviously, Machu Picchu, a 3-hour train ride from the city or a four day hike along the Inca Trail. The site has a wonderful museum at the bottom of the hill. Smaller but fascinating archaeological sites are a short ride from the center of town. In Cusco, there are several good history museums, including the Pre-Colombian Art Museum and the Qorikancha. 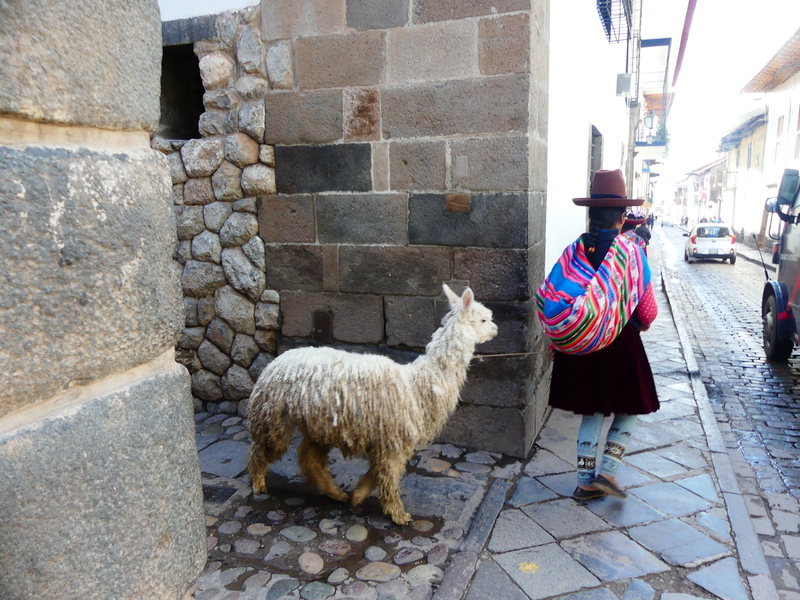 Added Attractions — Cusco is among the most charming cities on earth, with cobblestone streets, local residents in colorful traditional dress packing llamas and lambs, and excellent food and lodging choices of all kinds. Its main plaza is a hub of local activity, two dramatic cathedrals, and benches for people-watching. Trek through the Cusco countryside, visit the giant San Pedro public market, or take a raft ride down the Urubamba River. Why It’s Important — England has been the stomping ground and the stomper at different times over the past 3,000 years. The Romans founded the City of London shortly after Jesus died and 1400 years later was the center of the Tudor monarchs. London was home to Shakespeare and the governance of the vast British Empire, as evidenced by the vast collection of art and artifacts in the city’s museums. Today, London remains an important center of commerce and culture, and the leadership at 10 Downing will be affecting the future of Europe as it withdraws from the European Union. What to See to Learn More about World History — The British Museum, the Tower of London, Buckingham Palace, St. Paul’s Cathedral, Westminster Abbey, the Churchill War Rooms, Shakespeare’s Globe to mention a few. 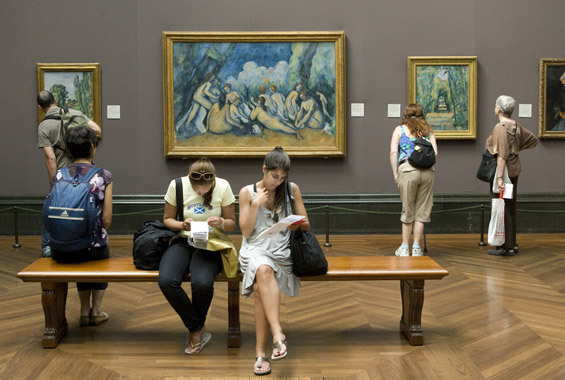 Added Attractions — The attractions of London are nearly endless, with world class art museums, like the National Gallery, the Tate and the V&A. The city is culturally diverse with everything that means for visitors, including food, crafts and music. The city is famous for its many top notch plays, parks and shopping. Really, you could spend a month here and barely scratch the surface. 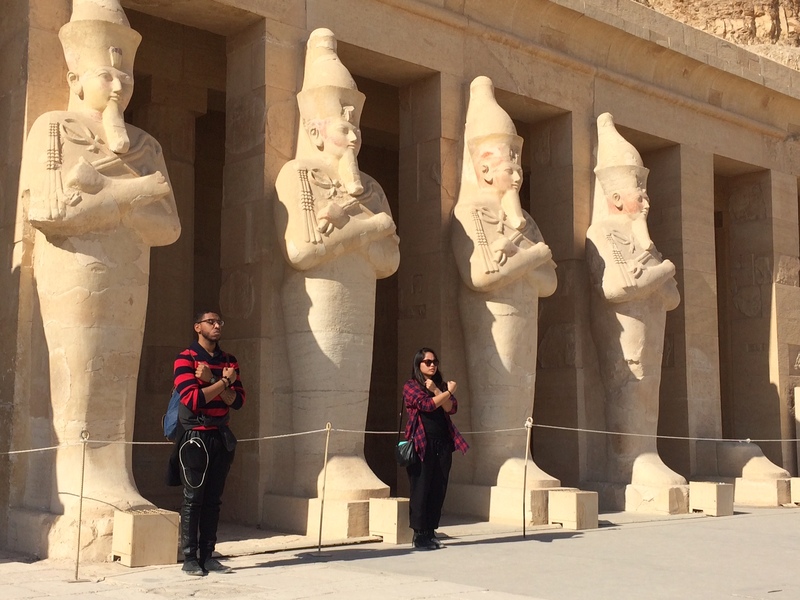 Why It’s Important — For the 3,000 years before Alexander the Great arrived in 332 BCE, Egyptians had a distinct culture as expressed in its art, religion, and language. 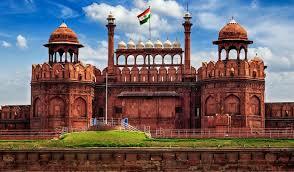 Its architectural feats deployed mathematics and engineering that remain mind boggling. Today, Egypt is politically unsettled after the popular uprising in 2011 called “Arab Spring.” Its future will affect the geopolitics of all of the Middle East and Northern Africa. 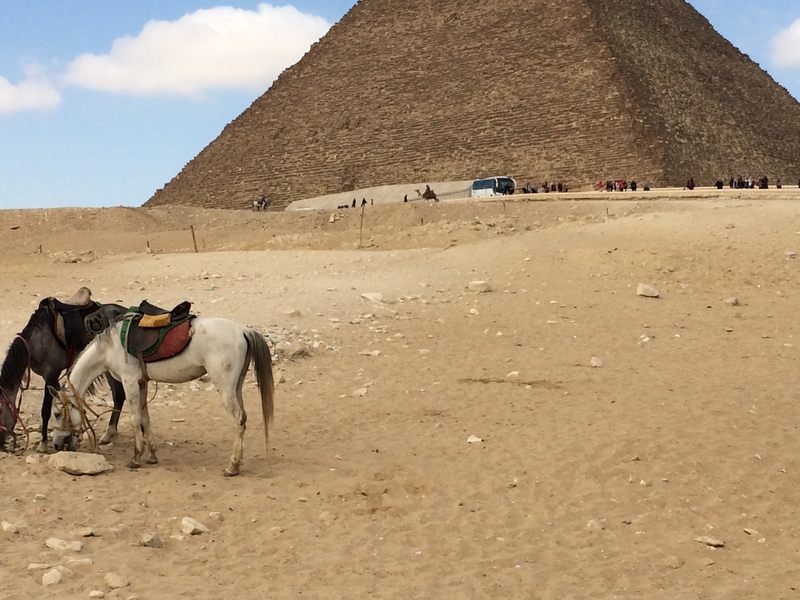 Added Attractions — Ride a camel on the sand dunes around the Pyramids in Cairo. Take a sail on a traditional “falucca” up and down the Nile. Visit the neighborhood in Cairo once called “Babylon,” which is today the center of Christian Egypt. Buy a handmade rug. Enjoy the beach at Hurghada on the Red Sea. Why It’s Important — In the 13th century, Genghis Khan amassed the world’s largest empire on top of a horse and without an office. Genghis Khan ruled with an iron fist but is credited with creating the world’s first meritocracy and one that was inclusive of all religions and races. The empire spanned from Hungary to China and was kept in tact by Genghis Khan’s descendants for 60 years. Mongolians will tell you if your ancestors lived east of Greece and west of Shanghai, you are probably part Mongolian. What to See to Learn More About World History — In Mongolia’s capital, Ulaanbaatar, visit the National Museum of Mongolia, Sukhbaatar Square and the Gandan Monastary. To really understand the power of the land in Mongolia’s history, visit the steppes and the empire’s capital, Karakorum. 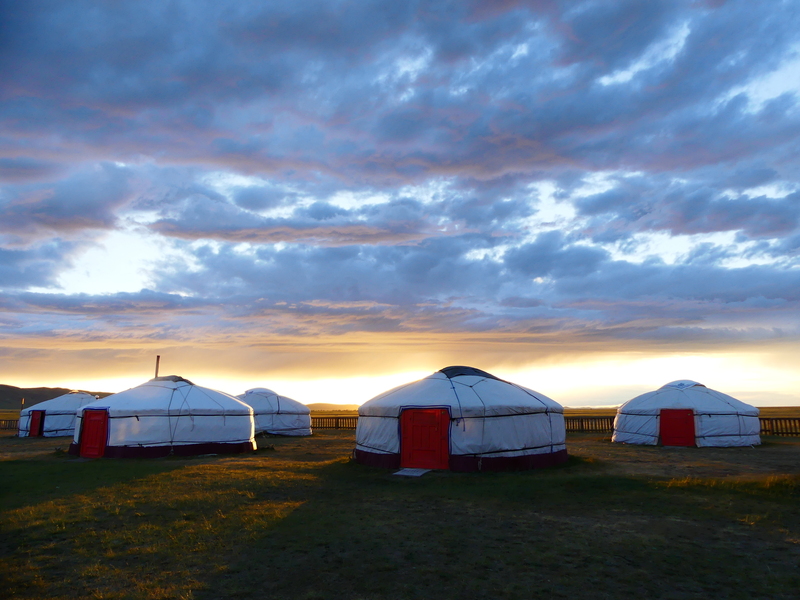 Added Attractions — Mongolia is home to some of the few remaining truly nomadic people in the world and they love visitors. The best way to get to know them and their land is by touring on horseback through the vast countryside. Sleep in a “ger,” the nomadic tents and attend “Nadaam,” a festival of horse racing, wrestling and archery that takes place all over the country in June. Why It’s Important — Greece is the cradle of western civilization — art, philosophy, democracy and poetry. Its ancient mythology continues to provide metaphor and a philosophical compass for the modern world. 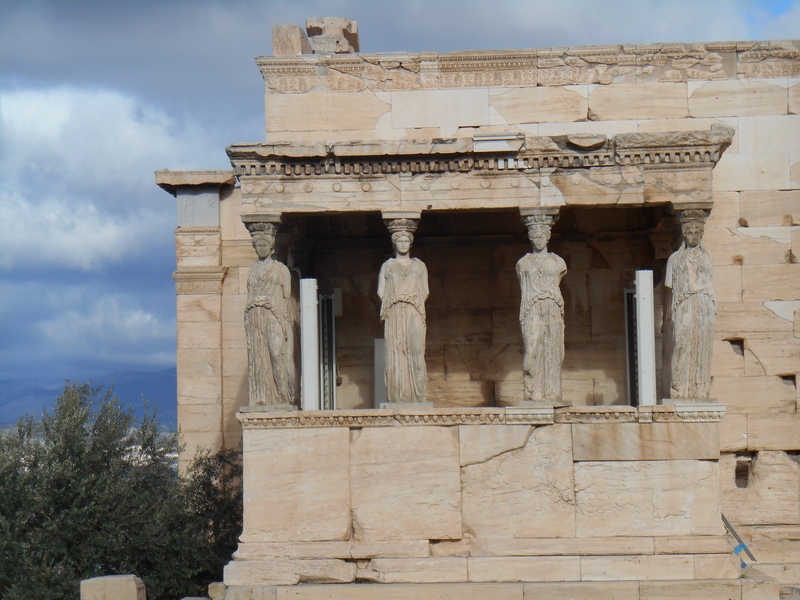 What to See to Learn More about World History — In Athens, the Acropolis, the Agora, and the Acropolis Museum. In the north, Delphi where the oracles held forth with the gods. West of Athens, Olympia and Corinth. Added Attractions — Hundreds of Greek Islands are perfect vacation spots and many have important historic sites of their own, especially Crete. Consider avoiding Mykonos, Santorini and Corfu in favor of the dozens of islands that are more Greek than international tourist, like Naxos, Lesvos, Icaria, Hydra and Skopelos. Why It’s Important — The Roman Empire was among the most powerful and influential in European history. Italy’s wealth and artistic contributions triggered the Renaissance and the miraculous works of such artistic genius as Bernini, Michelangelo, and Rafael. 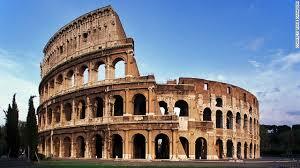 Rome continues to make important contributions in the world of art, fashion and political intrigue. What to See to Learn More about World History — St. Peter’s Basilica, the Colosseum, the Roman Forum, the Vatican Museums, the Pantheon, the Spanish Steps, the Galleria Borghese — and so much more…. Added Attractions — If you are in Rome, you are a short train ride to the some of the world’s most beautiful cities, including Florence, Venice and Bologna. Italy’s countryside and coastal regions have spectacular natural beauty, whether in the famously quaint communities of Cinque Terra, the Italian Alps or the Tuscan hill towns. Tour the wineries in Piedmont, go on a truffle hunt, and eat to your heart’s delight. And don’t forget the art! For visitors, there is almost nothing about Italy that isn’t remarkable. Why It’s Important. For Americans, Viet Nam is an essential destination to understand our own modern history. The 20th century war, which the Vietnamese call “the American war,” caused more than 3 million deaths and changed American culture by mobilizing millions of everyday citizens against the federal government. It was the first American war that was openly fought on behalf of capitalism and the first war America lost. American politicians are still debating the lessons of its incursion. What to See to Learn More about World History — The Reunification Palace, the War Remnants Museum and the Cu Chi Tunnels in Ho Chi Minh City, Ho Chi Minh Mausoleum and Hoa Lo Prison (“Hanoi Hilton”) in Hanoi, the Citadel in Hue. Added Attractions — Viet Nam is a banquet for visitors, literally and figuratively. Hoi An is a beloved historic city famous for its food and colorful paper lanterns. Hanoi is a cultural hot spot with modern art, traditional puppet shows and great shopping for authentic silk textiles. Take a boat on Ha Long Bay, a world class geographic wonder. 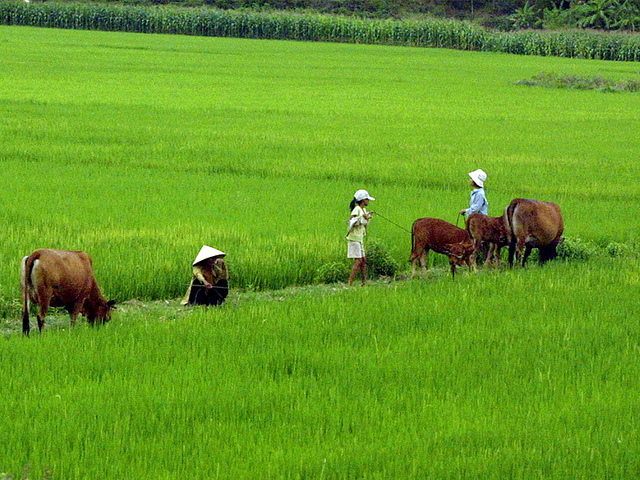 Live like a local farmer in the tiny valley of Mai Chau. If you have other suggestions, please let me know. I have a lot to learn. Good writing, high sheen, like Adam Gopnik’s piece in this week’s New Yorker on California winemaker Grahm, your prose is “ready to print” as the Germans say. Speaking of Germans, I nominate Berlin as a city/place where one can learn history. Although my knowledge of it comes from the 2.5 years I spent there, I remember thinking in the first days there that the city bore the scars, physical and psychological, or two national nervous breakdowns, i.e., WWI and WWII. I think only a people who have seen the horrors their compatriots could wreak on other humans, the horror and the banality of that evil, how it just became part of everyday life, could be as dialectically alive to the process of history, and honest enough to remember it – the Holocaust Memorial at Brandenberg Gate, the “Stolpersteine” (literally stumbling stones), cobblestones) engraved with the names of the Jews and others who simply vanished from the fabric of the society, trucked and trained to Auschwitz and Treblinka, so many said “we had no idea this was happening.” How could they not? Their modern art driven mad with this contradiction.